#3 Next year I vow to do better on both counts. Bonus for you: in case you haven't clicked, the link above for Guinness is to a commercial on youtube that makes me giggle. The name of the cocktail that inspired these is so very not-PC. But whatev. There's nothing about The Priestess that is politically correct. Which is why I love her. 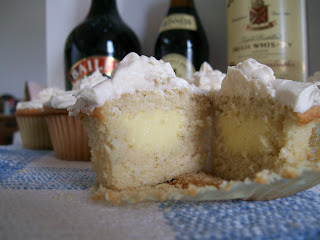 Enjoy her and her recipe that incorporates three of my favorite kinds of booze (although I'm partial to Bushmills. Stop throwing things!). A few years back, my theatre company, Impact Theatre (http://impacttheatre.com/), had a kickass Technical Director, Alain Jourdenais. He was fantastic, and we adored him. It was on an Impact Theatre annual season planning retreat that he introduced everyone to the Irish Car Bomb. This was so far back he had to tell the bartender in the Reno Hilton how to make them. Alain eventually left Impact to go to CalArts for lighting design. In October 2007, days before our first Full Houses Poker Tournament Benefit, we got the tragic news that Alain had died as a result of a car accident. 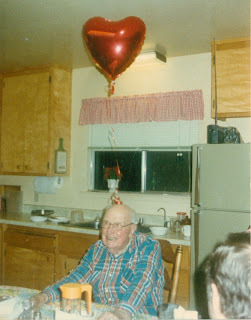 He was 26. These are the cupcakes I created in his honor. I brought them to the benefit and they were a huge hit. They've been in my repertoire ever since. They're labor-intensive, but pretty awesome. 2. Beat butter on high until creamy, about 30 seconds. I recommend a Kitchen Aid for the mixing involved in this entire recipe, but I use a hand mixer. 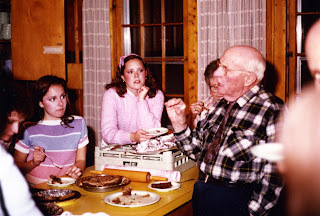 I learned how to bake using vintage cookbooks, my wits, and my mom's kitchen when I was 12. She didn't own a Kitchen Aid and I wasn't allowed to use the hand mixer. Therefore, I mixed everything with a wooden spoon or a fork. Now I can't bake anything unless I know how it feels, and a hand mixer is, in and of itself, a bit of a compromise. People who can successfully use a Kitchen Aid and know what's going on with their dough by the look of it mystify and amaze me. If you're one of those, mazel tov. For me, I have to feel it, and I'm stuck with the pain-in-the-assery of the hand mixer for this recipe. 3. Add sugar. Beat on medium-high until light and fluffy, maybe 2 or 3 minutes. 4. Add eggs one at a time, beat to incorporate between each. 5. Sift flour, baking powder, and salt together into a separate bowl. 6. 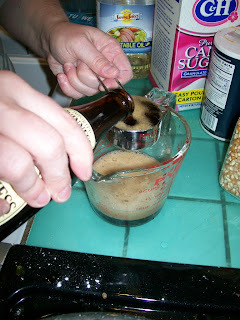 Pour Guinness and cream together into a large cup or spouted pyrex measuring cup. DO NOT DRINK. I know it's hard. You can drink the rest of the bottle, though. 8. Add about one third the Guinness/cream mixture and beat until combined. Don't be half-assed about the beating or add too much at a time or your mixture will look all curdled and weird. 9. Repeat above, alternating flour and Guinness and ending with the flour mixture. 10. Fill your cupcake papers 3/4 full. 11. Bake for approximately 24 minutes. Start checking them at 22 to see where you oven lands with this. I'd say anywhere from 22 - 25 is likely. 12. Let your cupcakes cool completely. 1. 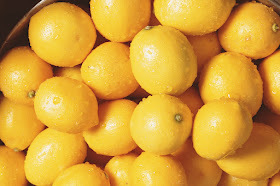 Mix sugar and egg yolks together with a wooden spoon in a pyrex or stainless steel bowl. 2. 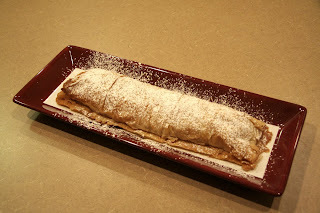 Sift the flour and cornstarch into the egg mixture and mix until it's smooth and pasty. 3. Heat the milk over medium in a saucepan until it boils. When it foams up, remove it from the heat and add it really slowly to the egg mixture, whisking constantly to prevent curdling. 4. Once it's all whisked together, put it all into the saucepan and cook over medium, whisking constantly, until it magically turns into pastry cream. This takes about 30 seconds and is heralded by the arrival of a thick, creamy texture. 5. 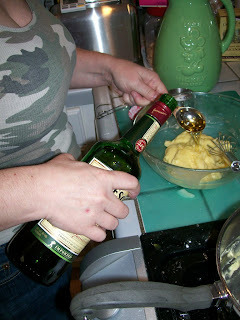 Remove from heat, let cool for a bit, and whisk in the Jameson's. 1. 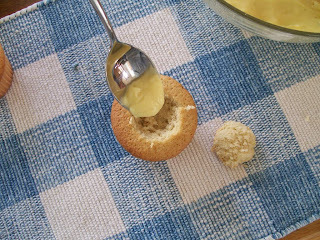 Take a completely cooled cupcake and cut a cone-shaped wedge out of the center. 2. 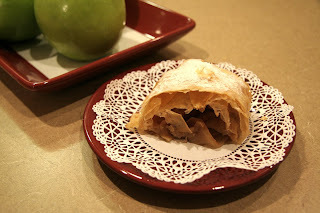 Fill the hole with your pastry cream. 3. Cut the bottom off of the cupcake cone and replace the top like a little hat. 4. Repeat until all cupcakes are filled. Your husband, roommates, or assorted neighborhood hobos will eat the cupcake scraps. TRUST. Finally, make your Bailey's Frosting. It's so simple, even a child could do it. 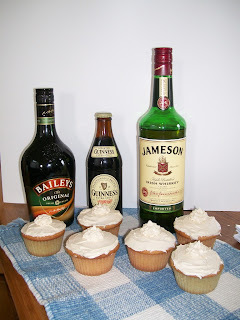 Make Mommy some boozy frosting! Awesome. 1. Melt the butter in a large bowl in the microwave. 2. Add the powdered sugar and 1/2 cup of the Bailey's and mix on medium high to high until incorporated. 3. Add more Bailey's in 1 TB increments until the desired consistency is reached. 4. Frost your cupcakes! A generous amount of frosting is both friendly and perfect for hiding the filling surgery you did earlier. You'll want to eat these cupcakes the day you make them. Luckily, so will everyone else! Have a great St. Patrick's Day, everyone, and raise a glass to Alain while you're at it. Next up: Spring is in the air and I'm ready for something fresh tasting. 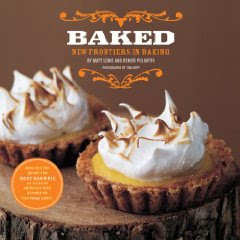 I've seen the episode where he makes it and apparently I've tried the recipe myself, but I have no memory of it: I'm making Alton Brown's Lemon Meringue Pie. #1 I unpacked my kitchen first. That's just the way things work for me. 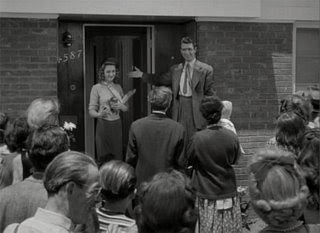 A home is not operational until the kitchen is organized. I still have a few things to do: finding storage for dinnerware that is not frequently used, filling my pantry and fridge with foodstuffs, and getting rid of the flotsam that has landed on my baking counter. Yes, that's what that peninsula is now called. #2 After only two nights in our new home, I had to bake. I couldn't take it anymore. I used the smell of brownies to drive away the unfamiliar smells and the DNA of previous occupants still floating in the air. Last week, I scrubbed every surface I could get my hands on. This was my way of scrubbing the air. #3 My first mess in my beautiful new kitchen. I got this recipe from my December sister. I have no idea where she got it, so I'm just going to go ahead and give to you. I call it Plagiarizing it Forward. 1. For the sponge: heat oven to 350 degrees; toast rye flakes on small baking sheet until fragrant and golden brown, about 10-12 minutes. Cool to room temperature. 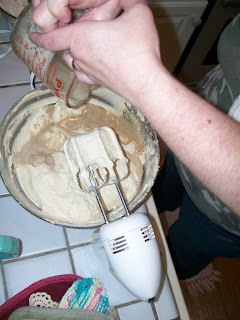 Mix water, yeast, honey, rye flakes and flour in the large mixing bowl of a heavy duty mixer to form batter. 2. For the bread: Stir all-purpose flour, 3-1/4 cups rye flour, caraway seeds, oil and salt into the sponge. With machine fitted with dough hook and set on speed 2, knead dough, adding remaining 1/4 cup rye flour once the dough becomes cohesive; knead until smooth yet sticky, about 5 minutes. With moistened hands, transfer dough to a well-floured counter, knead it into a smooth ball, then place in a lightly greased bowl. 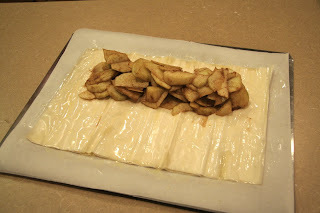 Cover with plastic wrap and let rise at room temperature until doubled in size, 1-1/4 to 2 hours. 3. Generously sprinkle cornmeal on a large baking sheet. 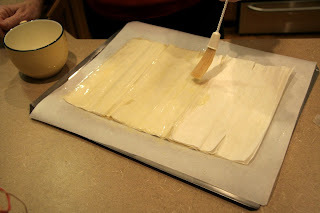 Turn dough onto a lightly floured surface and press dough into a 12x9 rectangle. (For 2 smaller loaves, halve the dough, pressing each portion into a 9x6 1/2-inch rectangle.) With one of the long sides facing you, roll dough into a 12 inch (or 9 inch) log, seam side up. Pinch seam with fingertips to seal. Turn dough seam side down, and with fingertips, seal ends by tucking dough into the loaf. 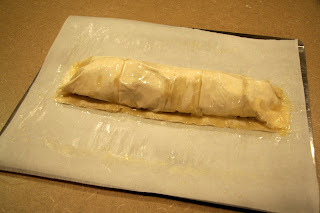 Carefully transfer shaped loaf (or loaves) to prepared baking sheet, cover loosely with greased plastic wrap, and let proof until dough looks bloated and dimply, and starts to spread out, 60-75 minutes. Adjust oven rack to lower center position and heat oven to 425 degrees. 4. 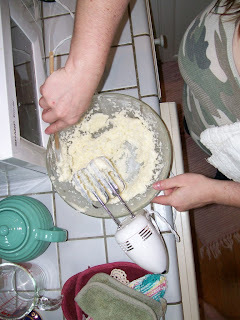 For the glaze: Whisk egg white and milk together and brush over sides and top of loaf (loaves). 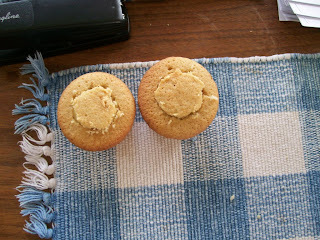 Make 6 or 7 slashes, 1/2 inch deep on dough top with serrated knife or single edge razor blade. Bake for 15 minutes, then lower oven temperature to 400 degrees and bake until golden brown and an instant-read thermometer inserted in center of loaf registers 200 degrees, 15-20 minutes for small loaves and 25-30 for larger loaf. Transfer to a wire rack and cool to room temperature. Slice and serve. As I think I've confessed before, I am no bread expert. Far from it. But I realized while making this bread, that most of the time when I make bread I'm in a big fat hurry to get it done in time for dinner. Which may account for some of my frustrations and missteps with the process. This time it was different. I don't know if that's because this recipe is easy, or if it's because I gave myself more time to prepare it and wasn't working under a "deadline". But really, I was surprised at how easy it was and how nicely it turned out. I was a little skeptical about using the mixer with the dough hook. My own dough hook is as yet unused. But it worked really well. And "with moistened hands" took me aback as well. But, yet again, it worked perfectly. I got the machine-kneaded dough out of the bowl and off the hook (HA!) and onto my kneading surface without covering my hands with it. I've also never tested the temperature of my bread to check its doneness. Again, I did it and it was perfect. It's not as high of a loaf as I would like to have (you know, for pastrami sandwiches), but maybe if I use bread flour the next time, it will be a little puffier. It was, I humbly submit to you, perfect as breakfast toast (with butter). I chose this recipe this week because of the quote at the top. As we move into our new home starting this coming week, those are all things we deeply wish for: food at our table, spice in our lives, joy and prosperity. But why rye bread, you ask? Well, because I've never made it before. And because it reminds us of a deli that we loved in a place that I still think of as home. TGIP Rating--Deli-Style Rye Bread--KEEPER--Try with bread flour. And see if you can find rye flakes. I can't help but wonder how/if they would change the taste and texture. Next up: The move catches up with me. 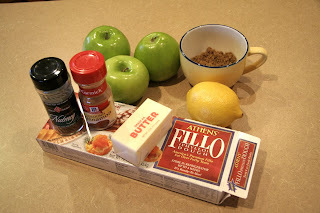 I leave you in the capable guest-blogging hands of the Pie Queen. P.S. to my December sister: I think it is the rye flour that makes the bread seem not so smooth. The flour itself has a lot of texture to it.